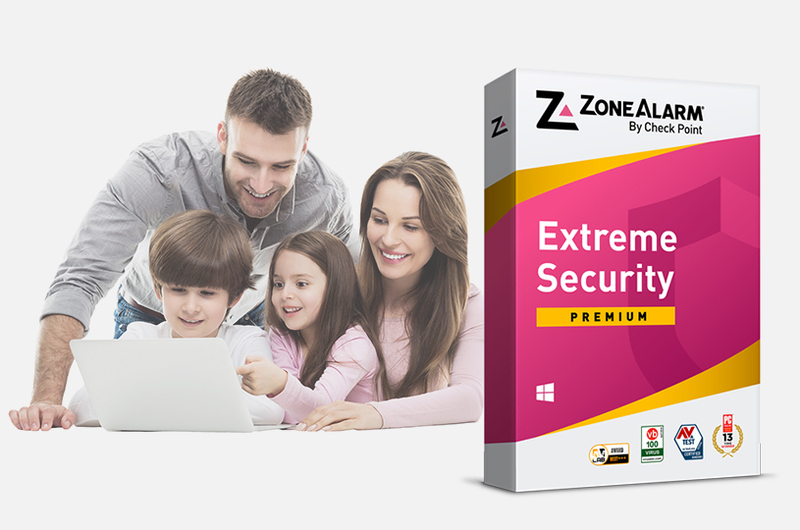 ZoneAlarm Extreme Security 2019 | Virus Free. 100% Guaranteed. The 100% virus-free guarantee is based on AV-Test’s 6/6 Protection score, with 100% protection from zero-day attacks and 100% detection of widespread and prevalent malware. Identity Protection and more are included. Up-to-date antivirus database protects you from newly discovered viruses, spyware, Trojans and worms. 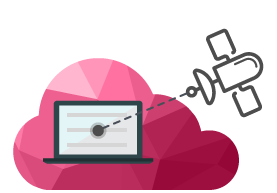 Protects you from zero-day attacks by opening and inspecting attachments and files in a cloud-based environment. Monitors all incoming and outgoing communications to block hackers, trackers and spyware. Safeguards your identity and protects you from phishing attacks, identity fraud and other cybercrimes. Keeps you one step ahead of cyber blackmail attacks today, defending you against new variants that may appear in the future. Makes sure that your personal information is yours and remains only yours, eliminating possibilities of data theft and network vulnerabilities. Protects your Windows PC from unknown virus and firewall threats, including zero-day attacks, by analyzing suspicious files in the cloud before they can harm your computer. It’s the ultimate solution for internet security, firewall protection and an advanced antivirus filtering. 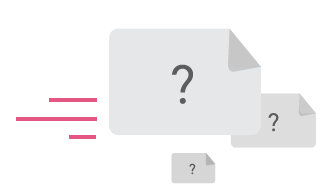 Easily send email attachments and documents to a secure, cloud-based environment before opening them. The ﬁles are then opened in a virtual sandbox and their behavior is analyzed for abnormalities. Files identified as malicious by our antivirus technology are marked so you can delete them and prevent infection. Inspect – Email attachments and web downloads in Microsoft Word, Microsoft PowerPoint, Microsoft Excel, and Adobe PDF formats are analyzed to see if they are safe or malicious based on known threats. 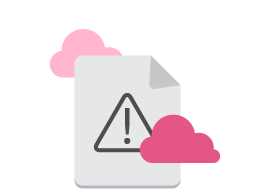 Share – The Threat Emulation cloud database is updated with the new signatures preventing others from being infected. Erases your cache and all, cookies, history and passwords – letting you browse the Web in complete privacy. Uses real-time behavior analysis to detect attacks that antiviruses cannot. Keeps you one step ahead of cyber blackmail attacks today. Defends you against new variants that may appear in the future. Easy to deploy and manage, eliminating PC infections, even when your computer is shut down. Easy to install and use, simple and user-friendly design. Compatible with all other antivirus, firewall and PC security software. Utilizes an advanced security engine and algorithms. Uses a predictive behavior-based approach. Identifies and remediates zero-day ransomware. Restores any data or files encrypted during an attack, almost immediately. Secures your device from fake Wi-Fi hotspots around you. Ranks the networks for your safety so that your credentials won't be compromised. Blocks attempts to remotely seize control of your camera, microphone, and more. Preserves your most precious moments, photos, videos and messages. Real-time protection against phishing, spyware and malicious bots. On-device Real-time Protection (ONP) scans on every link you click on to make sure it's not directing you to a phishing site. Privacy and personal data can never be compromised. Detects, blocks and removes ransomware attacks by using behavioral technologies that don't rely on signature updates. Secures your mobile life from harmful WiFi networks, ransomware attacks, data theft and any form of hostile takeover. Opens email attachments and web downloads in a virtual cloud environment to see if they are safe. Prevents identity thieves from stealing your passwords and keystrokes.